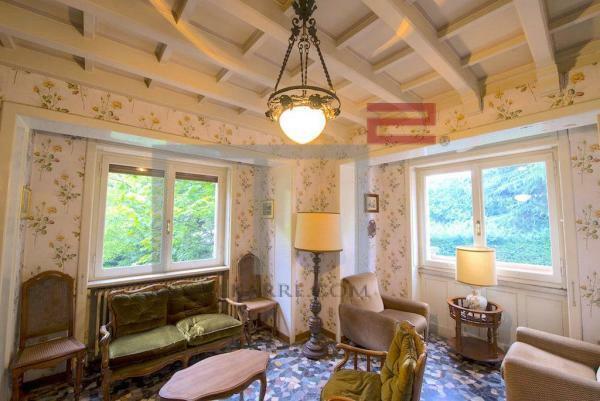 Lake Como, Menaggio, beautiful apartment in an ancient villa. The apartment is located in the villa Castelletto, in the old part of the borgo of Loveno, the picturesque district of the city of Menaggio, right next to Villa Vigoni. Note: the apartment is located in the center of the borgo, and it is not possible to drive there by car. From the nearest part where cars go to the villa about 20 steps up the stairs. The villa is owned by only two families. The apartment offered for sale has a separate entrance through the terrace. On the ground floor there is a living room with a kitchenette, a small pantry, and with a separate entrance, there is a room with a laundry. On the first floor, there are 2 bedrooms and a bathroom with a shower. The second floor offers a beautiful view of the lake and the city. The villa was completely renovated in 2010, the apartment is in perfect condition and is being sold furnished. Independent heating system. Lake Como, Magreglio, a 10-minute by car from Bellagio, lovely period house (1930). Ground floor: Entrance hall, lounge, living room with fireplace, kitchen, bathroom, balcony, access to private garden. Basement: garage, laundry room, cellar. Large garden (1500 square meters). The property needs renovation. Lake Como, Cernobbio, on the first hills. Modern new apartment in a small building. Entrance, living room with access to the private garden (350 mq), kitchenette, bathroom, bedroom, master bedroom with bathroom. View of Como and the mountains. 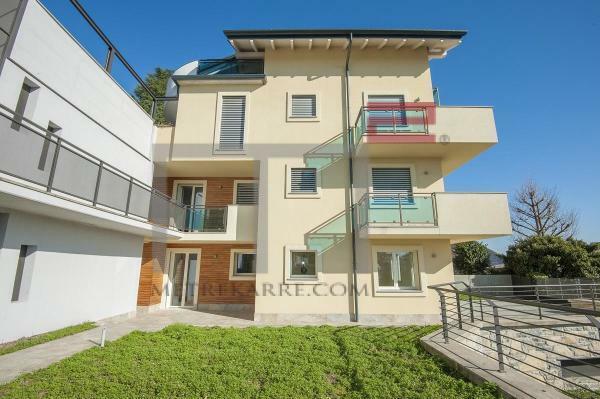 Tremezzo, marvelous context and in rare position, new villa with large surfaces. Surrounded by green and olive trees, has a fantastic view of the mountains and Lake Como. The villa has a swimming pool, porches, garage, private garden. Wide customization options of finishes and materials. Ancient villa to renovate directly on the lake. Private dock.